It is natural to want to blame someone when something goes wrong. When a divorce occurs, you might blame your spouse or yourself. You might feel guilty for things that you did or didn't do. Or, maybe you paint your ex-spouse as the villain. Playing the blame game will not provide emotional relief and let you move on. Blame is toxic and will eat up at your happiness. Letting go of blame is not the same as condoning a behavior, it refers to forgiveness. So, if your ex-spouse cheated, you might not believe that their conduct was acceptable, but you forgive them and move forward. If you were a couple for a long time, you probably played a specific role in the relationship. Now that you are single, your role might change significantly. If your spouse was the one responsible for managing the household finances before, then after a divorce, you might find yourself having to embrace the new role of managing the money. Embracing the changing roles can give you the chance to focus on and learn something new. Look at it as an opportunity for growth. Divorce Therapy can be beneficial after a divorce. It is a safe place where you can share your feelings and thoughts. Therapy can teach you the coping skills that you need to work towards a new life. It can also help you have a healthier outlook after your divorce, which is especially important if you are holding on to anger, resentment or bitterness. 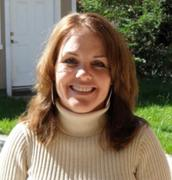 Click here to find your best therapist in Roseville CA. Call today at 916-426-2757 or Click here to book an appointment.